*This is a sponsored post on behalf of Porch.com. 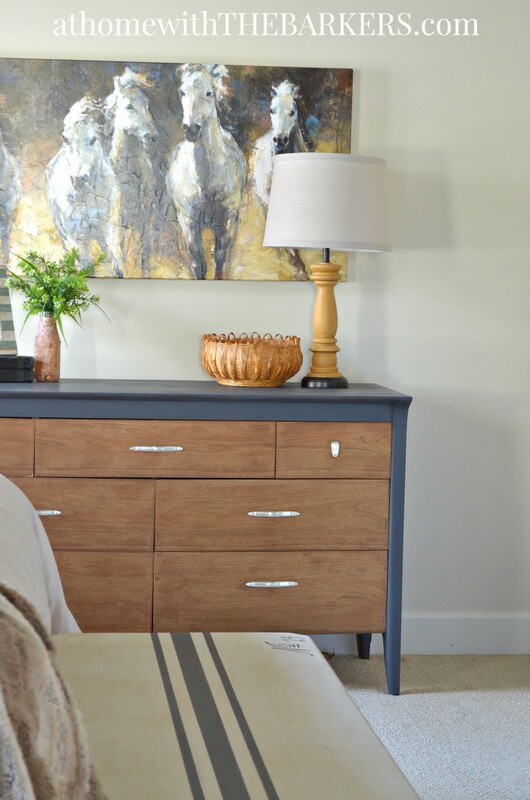 All opinions about this mid century modern dresser makeover are my very own! I found the most awesome piece of furniture at a local thrift store for only $10!!! I totally feel in love with the lines of it and I thought it would be the perfect makeover for Porch.com Cheers for Change campaign. The goal of Cheers for Change is to encourage us to embrace change in our homes and style. If you follow me on Pinterest you will see that I pin lots of Mid Century Modern styles yet I don’t normally decorate with them. So I say Cheers for Change because I am embracing this style that I secretly have loved for a very long time. 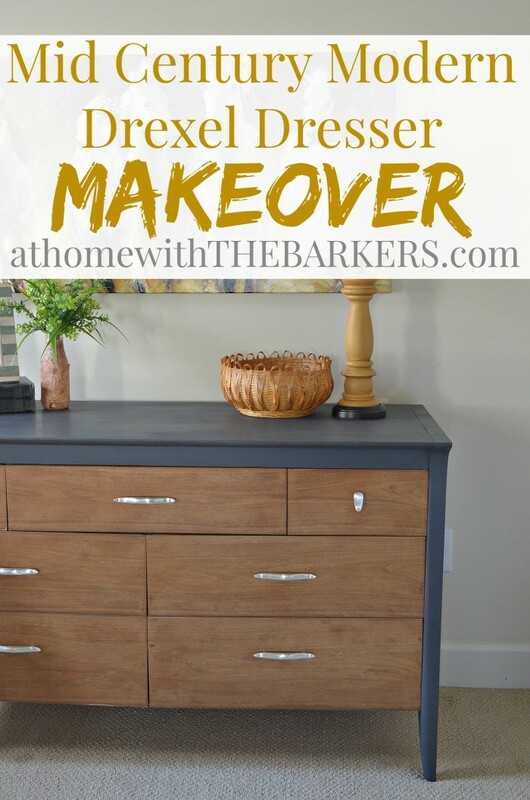 This mid century modern dresser makeover will incorporate perfectly in my recent rustic, earthy, eclectic master bedroom makeover. 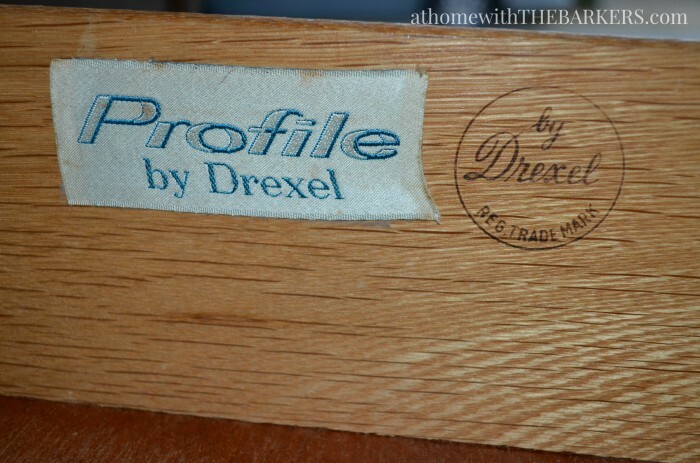 You can see the markings inside of the drawer for the Profile by Drexel. The piece was not in the best shape on the sides and was peeling a little but I didn’t mind at all. It still looked great from the front. Hubby did have to add some wood glue to the front bar and brace it a little because one of the drawers was hard to pull out. 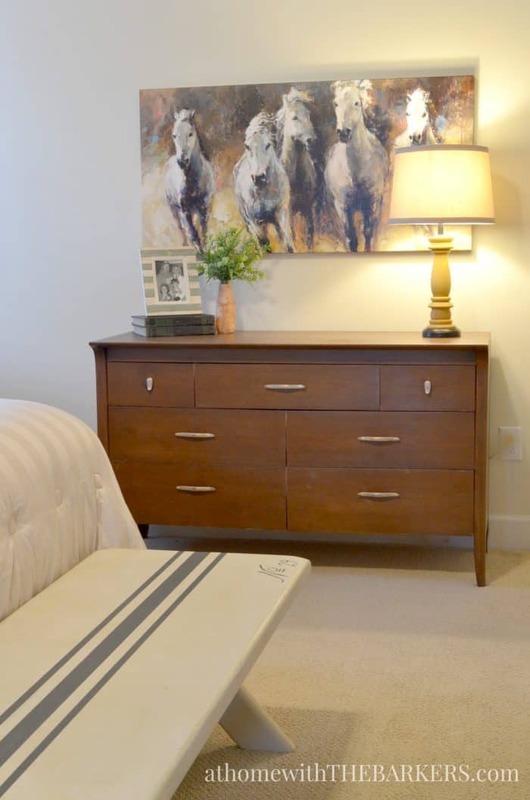 I had already added the piece to the master bedroom to see how I was going to like it. I think it will work great. 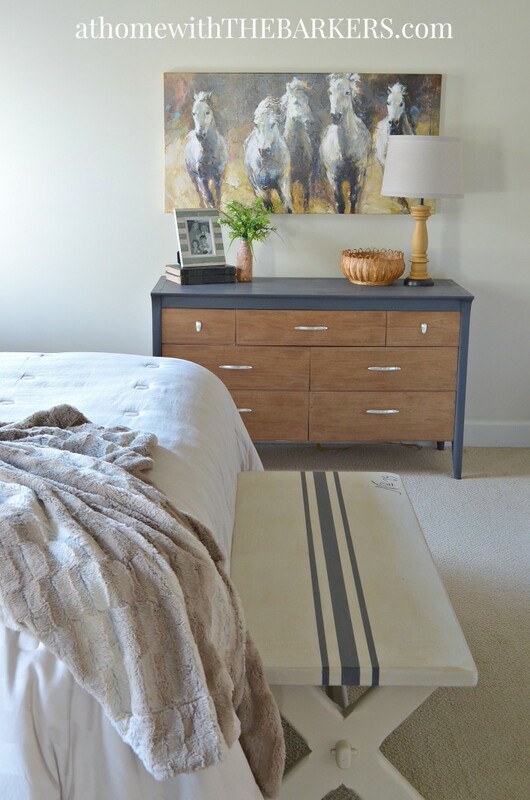 Here is the before picture and how I showed it during the master bedroom reveal last week. I was pretty sure the wood under the stains was gorgeous and I was right! 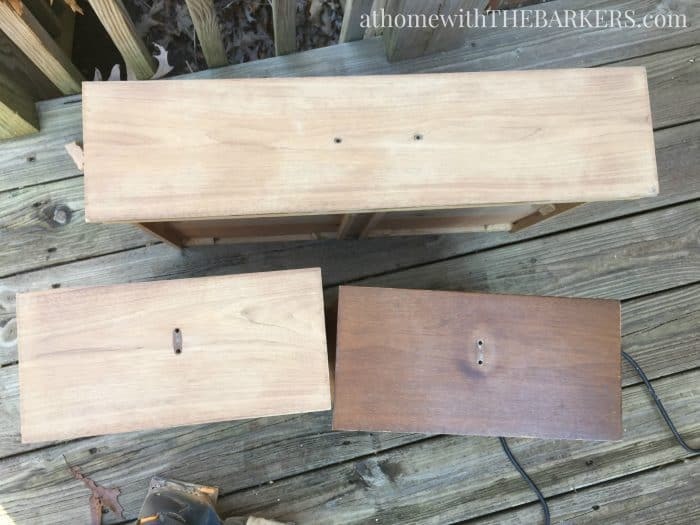 I took the drawers out last week on a beautiful day and sanded them with my electric sander. 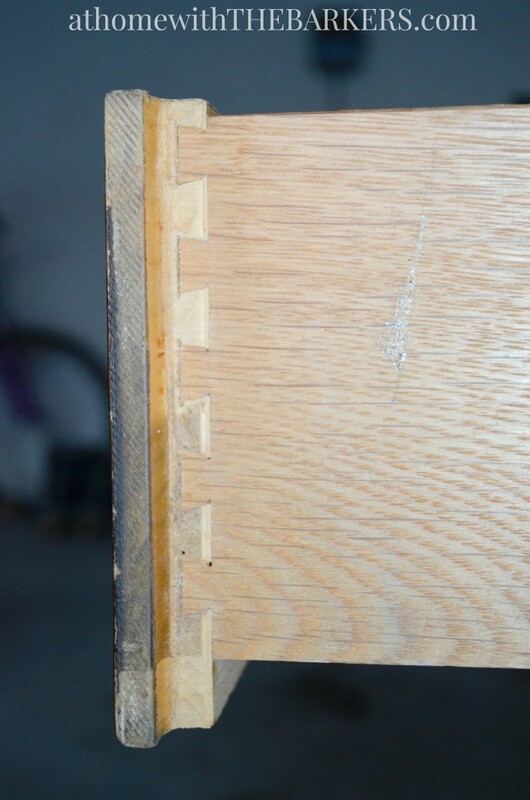 You can see the difference in the below picture of how much lighter the wood was under there. I used the Annie Sloan Clear Wax over the raw wood just like I did with the dark was on out DIY Headboard. I love this look! Great was to bring out the grain and protect the wood with out having to do the tough poly process. Look at how great the hardware is with a cleaning. I used this same technique to clean them as I did HERE. I painted the top and sides with DecoArt Americana Decor Chalky Finish paint in Relic then sealed it with Soft Varnish. I’m super pleased with this change and how great the thrift store dresser turned out. Do you have anything that you have been thinking of changing but wasn’t quite the style/direction you thought you were headed in? If you are new here and visiting from my friends Porch.com you may like some of my other DIY and painted pieces. If you don’t already get my blog post updates in your email be sure to sign up for that before you head to another post. Just add your email in the box at the top right of this page. IT’S FREE! What a beautiful transformation! The two tones complement each other so well and I just love the hardware. 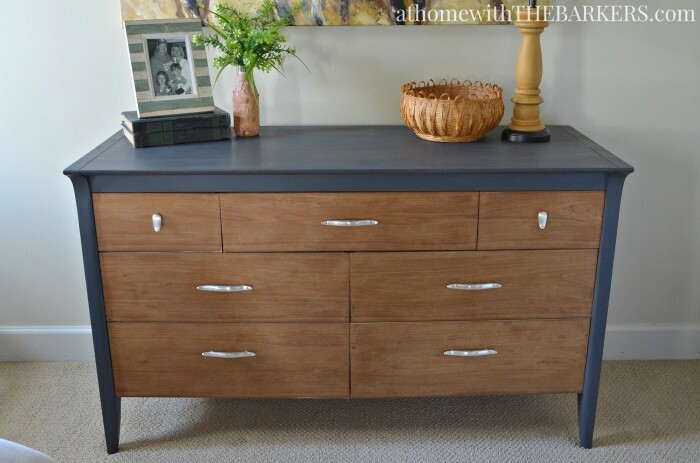 I don’t think I’ll ever get tired of seeing old furniture brought back to life in such gorgeous ways. What an amazing find for $10! The new look is fabulous…love the touch of color! This is so beautiful!! And for $10?! amazing!! 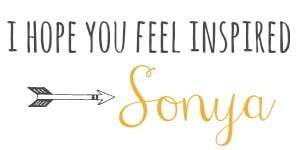 It’s beautiful Sonya! 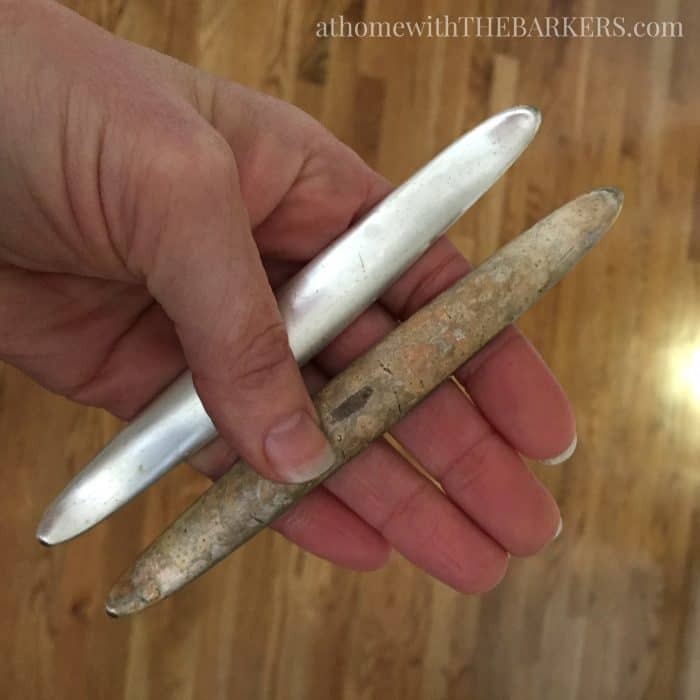 I’m crushing over the beautiful patina applying clear wax over the natural wood gave. I’m definitely going to try this sometime. 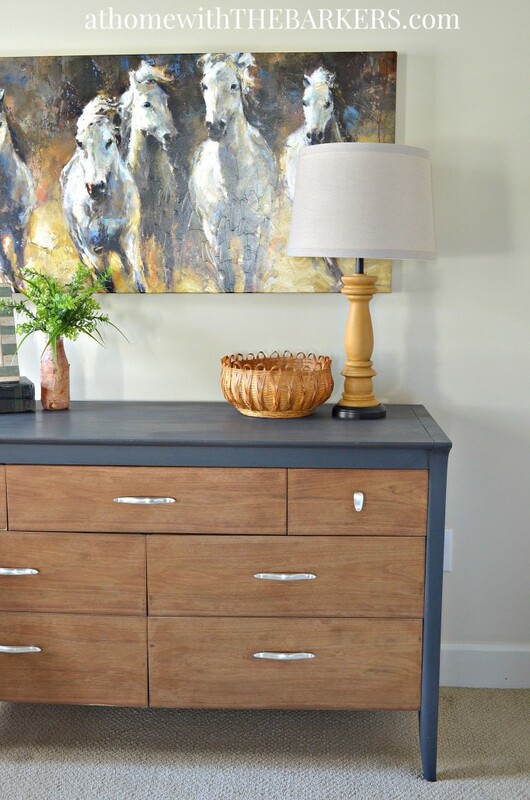 I love how you styled your MCM dresser too – the yellow lamp is perfect! $10.00 – wow, that’s definitely a “start the car…start the car” steal. Very pretty Sonya! Love what you did with it. looks awesome!!!!!!!!! Perfect with the horse Art! Oof. Way to ruin a very valuable mid-century classic. Looks real cute though! The links you have shared are for a piece in excellent condition while my find was peeling in chunks, warped on the frame and water damaged underneath. I appreciate your honest opinion but a vintage piece is only worth what someone is willing to pay and for me I was willing to pay $10.